Great Britain is gearing up for Remembrance Sunday, the day to remember the sacrifice made during all wars. The day will involve a memorial service at Westminster Abbey, followed by all leaders, politicians, senior military officers and the Royal family assembling at The Cenotaph, a monument to the ‘Glorious Dead’ in London’s Whitehall, the heart of the British government. Wreaths of poppy flowers, which grew wild on the bloody battlefields of the Somme in France, will be laid by the dignitaries, including the serving and all former Prime Ministers. At the exact date and time the guns fell silent 100 years ago, and every year since, a two-minute silence will be held across the nation — 11 minutes past 11 a.m., on the 11th day of the 11th month. The Indian contribution to wartime, directly and vicariously, has been immense. 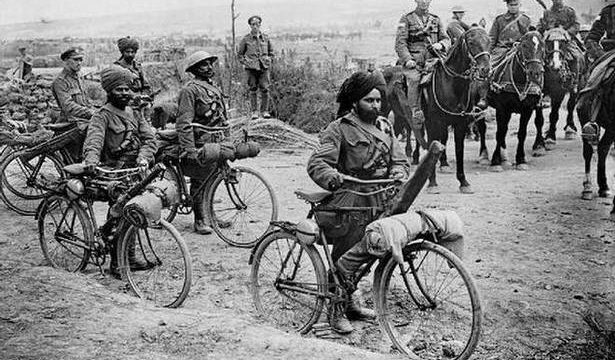 World War I saw 10 lakh Indian soldiers, part of a 20-lakh-strong detachment from South Asia, deployed to Europe, of which around 75,000 died. World War II saw 25 lakh South Asians, the majority of whom were Indians, which led to over 87,000 deaths. Of the 25 lakh South Asians, 8,000 were made up from one of India’s smallest communities, the Anglo-Indians. Some of WW2’s key battles in Monte Cassino Kohima and El Alamein were fought mainly by Indian soldiers and, as it turned out, they were victorious. Germany’s General Erwin Rommel, the legendary ‘Desert Fox’, may have had another legend leading the fight against him on the British side, Field Marshall Bernard Montgomery, but again the bulwark of the force thrown at him were Indians from the 4th, 5th and 10th Indian Divisions, headed by a man who would later become Chief of the Army Staff of independent India, Major PP Kumaramangalam. The ‘Burma Campaign’ saw Indians fighting to halt the advance of the Japanese, particularly at the ‘Battle of Imphal’. The campaign included the first use of Indians as Special Forces, or ‘Long Range Patrol’ as it was known then, made up of the fierce Gurkhas. The liberation of Italy had Indians playing a key role, with the 43rd Gurkha Infantry Brigade and Kumaramangalam’s 4th, 8th and 10th Divisions again being involved in heavy fighting. The British Army still maintains a Gurkha Regiment and it is one of their elite combat units, ranked close to the Royal Marines. It is in this context that the British memorial services must be compared with the Indian version. Although we remember the fallen in wars against Pakistan — especially the Kargil War — there is very little done to preserve the memory of the much larger numbers of Indians deployed, killed, and injured during the two World Wars. In Kolkata, where a colonial — albeit smaller — Cenotaph stands a stone’s throw away from the famous Eden Gardens, a memorial ceremony takes place every year. It is, commendably albeit strangely, organised by the British High Commission with India being represented by just an IAS officer. The ceremony is attended by various Deputy Ambassadors, millionaire Honorary Consul Generals and a select invited few, including a representative from the British Council. Aside from the lonely IAS officer, the Indian involvement is limited to a lacklustre bagpipe band from the Indian Army and a sprucing-up of the monument, courtesy the Public Works Department. The only other ceremony in the city is at St. John’s Church, organised annually by the Freemasons who, ironically, lost members fighting on both the Axis (German) and Allied (UK-U.S.) sides of the wars. If we find ourselves unable to either honour the glorious dead or teach our children about their sacrifice, was that sacrifice worth it?